Of all the cities I have visited in the United States, Old Town Alexandria, Virginia is my favorite. 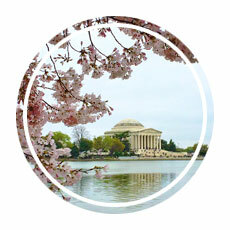 My connection to Old Town formed when I first moved to the Washington, DC area after college; my first “real” job was with an organization located a few miles north of the historic city center. Old Town Alexandria hosted countless happy hours and dinners with people who became my closest friends. Adam and I spent many happy evenings having dinner and walking along bustling King Street when we started dating. It was in Old Town Alexandria that we said our marriage vows and celebrated our first hours as husband and wife with family and friends. There’s an old idiom that says all road lead to Rome; for me, all roads lead to Old Town Alexandria. 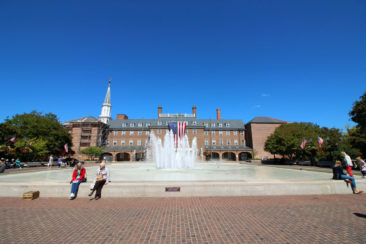 Old Town Alexandria is a vacation destination in its own right, although visitors most often spend a few hours there as part of a longer trip to Washington, DC. Steeped in history and brimming with great bars, restaurants, museums, and outdoor space, Old Town has a lot to offer whether you have a few hours or a few days to commit to it. This guide introduces you to some of our favorite Old Town Alexandria attractions. 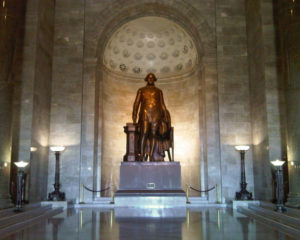 If you are planning a visit to the DC area, don’t miss out on this terrific town! Housed in the Robert H. Robinson Library, which was once segregated and designated for African Americans only following a sit in at the Alexandria Library, the Alexandria Black History Museum provides visitors with an excellent education. The library itself is home to the museum’s permanent exhibitions, while a newer expansion building features temporary galleries which regularly rotate. The museum owns more than 3,000 artifacts that detail the African American experience from the mid-1700s until present day. 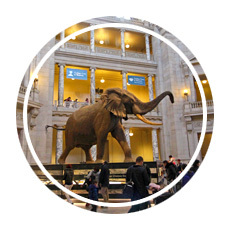 The museum itself is rather small, but consider checking out their educational calendar to see if you might be able to supplement your visit with a guest lecture or other special presentation. 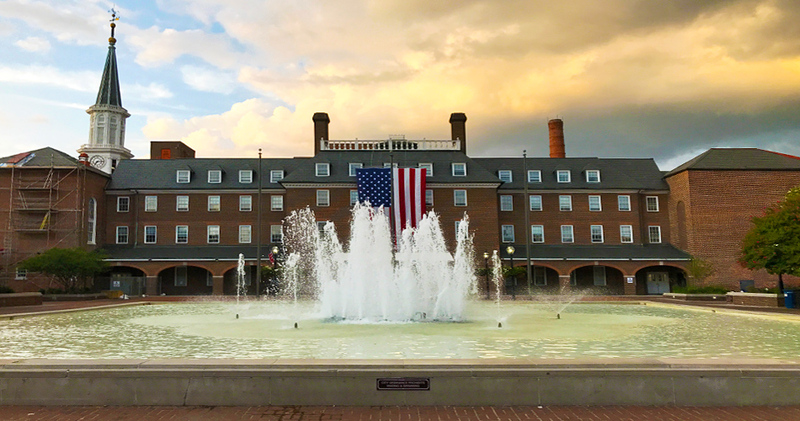 Although Arlington National Cemetery is more recognizable by most visitors to the area, Alexandria National Cemetery is worth a visit if your walking takes you to Old Town Alexandria’s outskirts. The cemetery is one of the oldest in the nation, and it is the final resting spot for thousands of Union soldiers who fought during the USA’s Civil War. In fact, Arlington National Cemetery was developed in response to how quickly Alexandria’s cemetery filled up. It is a peaceful, well-maintained stop to make if you are learning about Old Town Alexandria’s history. 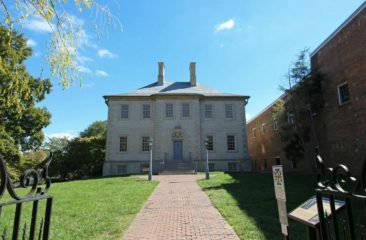 One of the oldest houses in Old Town Alexandria, Carlyle House was built in 1753 as a residence for city founder John Carlyle. In fact, Carlyle and General Edward Braddock met in the house to discuss funding options for the impending French and Indian War, which occurred from 1754-1763. The house was primarily a family residence until the mid-1800s. It was during this period that new owner, James Green, built the Mansion House Hotel in front of Carlyle House, effectively blocking it from the street view. The hotel ultimately converted to a makeshift hospital for union troops during the Civil War. Carlyle House is interesting because so much of its house reflects the challenges and events that occurred in Old Town Alexandria across several centuries. Today tours are available to the public for a nominal fee, and guides share great stories about the house and the Carlyle family. There are only two blocks in Old Town Alexandria that are paved with cobblestones, and one of them is Captain’s Row. 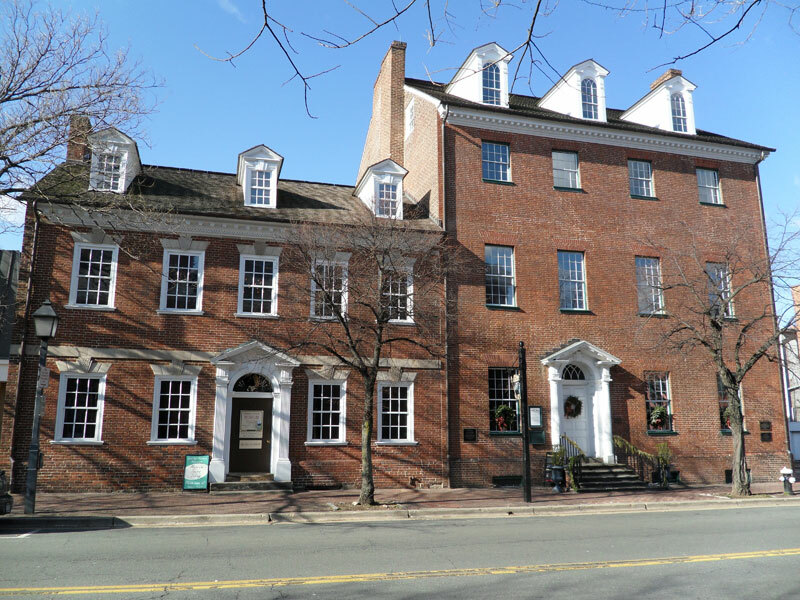 Located right by the Potomac River on Prince Street, Captain’s Row once served as the residence for many of the sea captains who were based in Old Town. You’ll only see beautiful real estate here—there aren’t shops or restaurants on this block—but the stones date back to the late 1700s, which means walking down the block is as close as you can get to stepping back in time. One of Washington, DC’s most important monuments is actually located just south of present day Old Town Alexandria in Jones Point Park. In 1791, Secretary of State Thomas Jefferson appointed Major Andrew Ellicott to conduct a survey that would identify the boundaries of the fledgling country’s new capital. 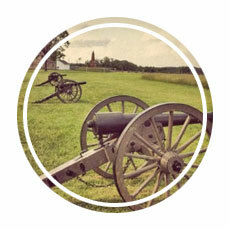 Ellicott placed boundary stones throughout the region to demarcate what would become Washington, DC. 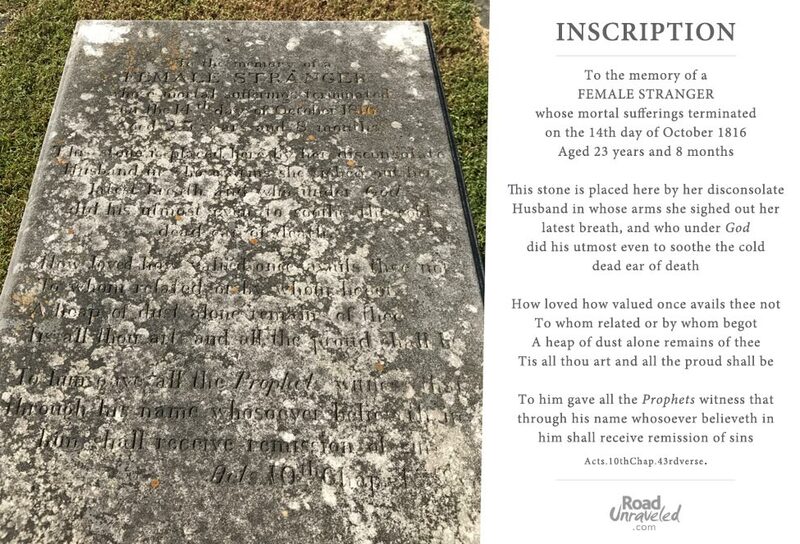 36 of the original stones remain intact, but the very first stone—the south boundary stone—has the distinction of being the USA’s first federal monument. 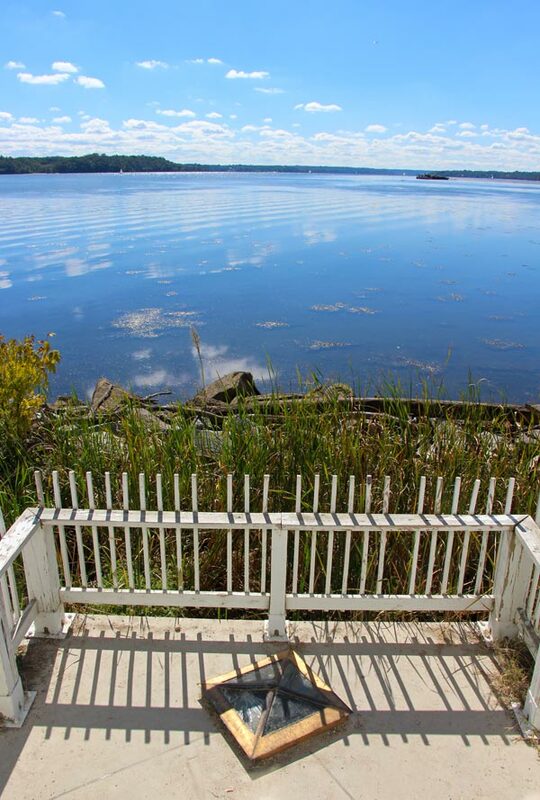 Today the stone is difficult to see, as it is protected by a plexiglass shield due to its location just outside of the Jones Point Lighthouse, but it’s worth a visit to see a very unique part of the city’s and country’s history. Old Town Alexandria’s Freedom House is located at the former Franklin and Armfield Slave Office, one of the last slave trading companies in the Washington, DC area. This museum is a powerful testament to the people who were unjustly sold and enslaved until all slaves were emancipated in 1863. With exhibits that provide first-person stories and insights, a visit to the Freedom House is an emotional but important experience. Self-guided tours are offered to the public. If I were to play favorites, Gadsby’s Tavern would be at the top of my list—but for good reason. Adam and I got married there in 2011, and we chose the location because of it’s fascinating history. John Gadsby’s tavern and connected hotel served as an important social and political gathering spot, and Gadsby’s Tavern regularly hosted the men who became the first five presidents of the United States—George Washington, John Adams, Thomas Jefferson, James Madison, and James Monroe. Andrew Jackson even spent the night of his 1829 innauguration at Gadsby’s Hotel (now part of Gadsby’s Tavern) to escape the rowdy, out of control inaugural parties at the White House. 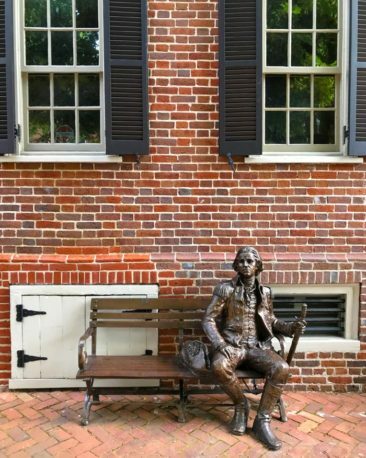 If that’s not enough for you, many people say Gadsby’s Tavern is haunted by the Female Stranger, an unidentified woman who died shortly after arriving at the tavern. She was accompanied by a man who made every person who encountered the woman swear an oath that they would never reveal her identity—or his own. 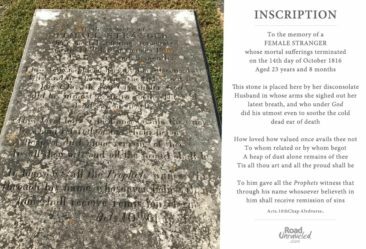 After she died, she was buried at St. Paul’s Cemetery under the name Female Stranger, and to this day many people claim her spirit visits tavern staff and visitors alike. 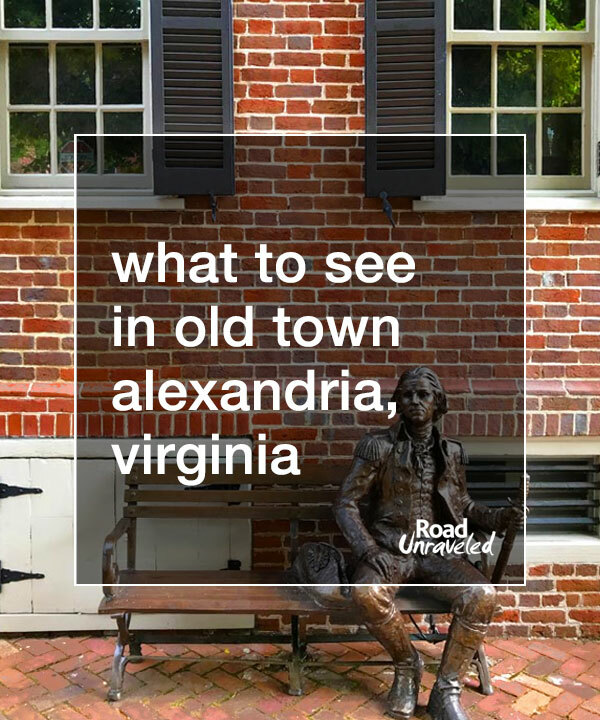 The Lyceum is a 19th century Greek revival building that is now home to Alexandria’s history museum, which makes it a can’t-miss stop if you are interested in developing your Old Town knowledge base. Its roots date back to a group of locals who identified a need to find space for educational discourse. After joining forces with the Alexandria Library the Lyceum opened its doors in 1839. Like many of the other museums in Old Town, the Lyceum hosts guest lecturers and rotating exhibits. If you’re walking down King Street, you won’t be able to miss Market Square. In warm months you’ll first notice the water fountains (as well as an occasional pair of ducks floating through them!). During most times of the year you’ll also see the enormous American flag that hangs from City Hall, which was built between 1871 and 1874. On many weekends Market Square hosts a lovely farmers market that is very popular with local residents. No matter when you visit, though, you’ll see dozens of people meeting friends or pausing for a few minutes to check their email or take in the busy street views. Market Square is a very popular gathering point, so even if you don’t spend time there you are sure to recognize it. 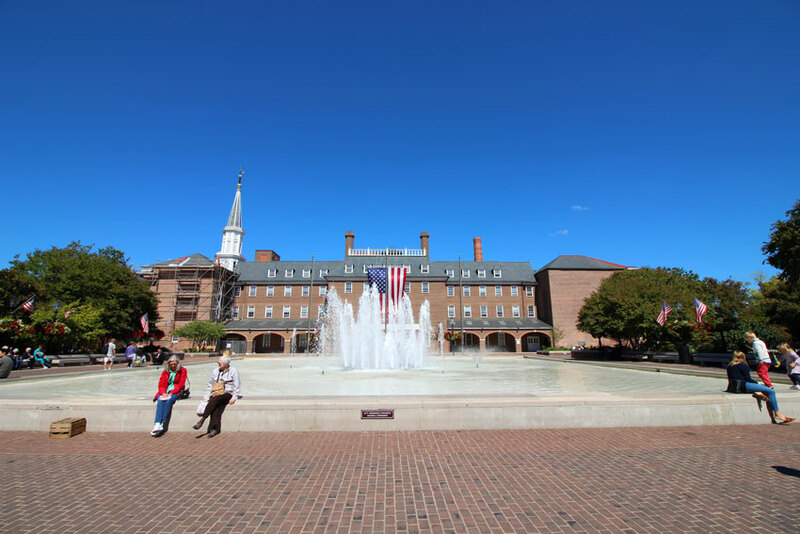 There is a great, convenient paid parking garage located underneath Market Square, and since weekend parking is only $5 it’s an affordable place to leave your car for a day in Old Town Alexandria. The Spite House (in blue) is just 7 feet wide! 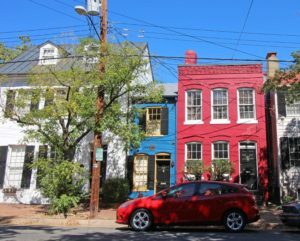 One of the best Old Town Alexandria stories I like to share is about the Spite House, a townhouse located at 523 Queen Street that provides just 325 square feet of living space. There are a few tales about how the house came to be. The most popular version is the story of a family who lived in a larger home and grew tired of locals cutting through the alleyway next door. To stop foot traffic, the family built the tiny house completely out of spite—hence its nickname. Measuring 7 feet wide by 36 feet long, the house is occupied and it’s not possible to look around inside. Still, it’s a fun stop to seek out. Long before modern medicine there was the Stabler-Leadbeater Apothecary. 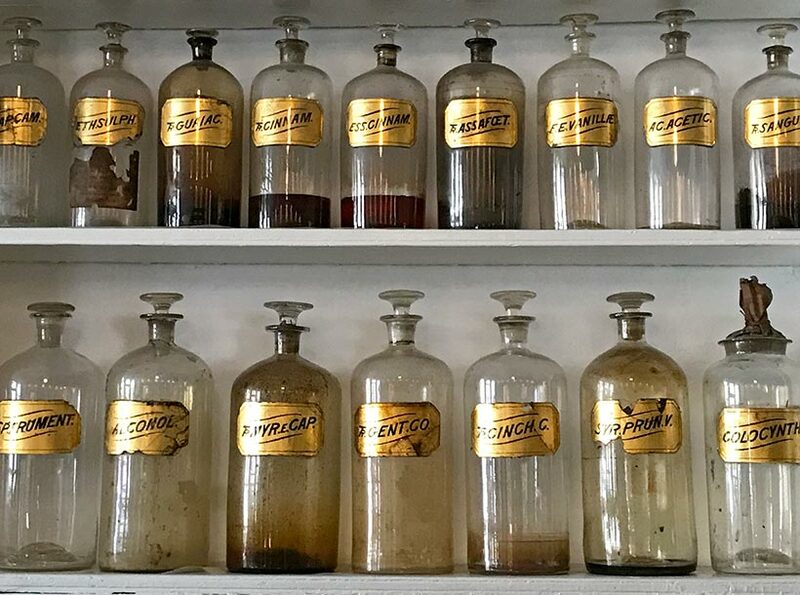 Serving clients that included George and Martha Washington, the apothecary once provided prescriptions made from common ingredients like cottonseed oil and cod liver oil, less common ingredients like dragon’s blood and unicorn root, and slightly more dangerous ingredients like opiates and heroin. 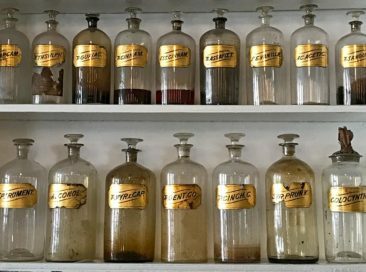 The walls are lined with the original bottles, measuring scales, and other artifacts from when the apothecary served residents throughout the area. 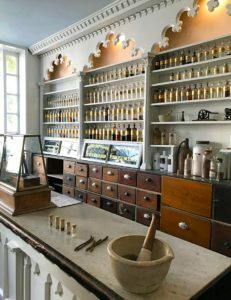 Today the museum connects visitors to what a trip to the pharmacy would have meant for Old Town Alexandria residents in the 1700s and 1800s. 30 minute tours are conducted for a modest fee, which gives you access to the pharmacy as well as a medication manufacturing space on the second floor. It’s one of the most interesting museums in the city. At first glance, the Torpedo Factory looks exactly the way it sounds. Built in 1919, it supplied torpedoes to both World War I and World War II before it was converted to storage for the City of Alexandria. That’s not where the building’s story ends, though; in the 1970s, a group of artists reimagined the space as series of studios where people could create and sell their works to the public. Today visitors can walk through the building, watch artists at work, and purchase the items they sell. More than 150 artists occupy space in the Torpedo Factory, which means when the building is open you are almost guaranteed to see someone producing something inventive and interesting. If you are looking for a great alternative to a typical art gallery, don’t miss the Torpedo Factory. The George Washington Masonic National Memorial sits at the far-end of Old Town Alexandria, where it serves several functions: it is an active masonic lodge, a museum, and a tribute to the deep ties freemasons have to the area and to Old Town specifically. The freemasons are a fraternal organization that once drew members from stonemasons. While their meetings are highly ritualized, today they primarily engage in social and charitable activities. The George Washington Masonic Temple provides a nice tour of the memorial, including a replica lodge room, several exhibits, and the Knight Templar Chapel that is notable for its four impressive stained glass windows. A highlight is the observation desk, which provides sweeping views of Old Town Alexandria and Washington, DC. On a sunny day it’s a great place to visit! You won’t go hungry in Old Town Alexandria! Some of our favorite restaurants line King Street and the surrounding area. Here are our top picks for fueling up before, during, or after a day of walking and exploring. We love the Fish Market, which as you might guess specializes in fresh seafood. You’ll find everything from clam chowder to lobster rolls to oysters on the menu, but if you’re looking for a local delicacy don’t miss the crab cakes. Chesapeake Bay blue crab is primarily associated with Maryland, but Virginia also borders the Chesapeake Bay and therefore serves the same tasty broiled or fried crab cakes as well! One of my favorite lunch spots is Fontaine, where you can find both sweet and savory crepes that are perfect for a lighter lunch or dinner. The savory crepes are served with a small salad and make for a delicious meal, but save room to share a sweet crepe for dessert. My favorites are the Norwegian, a smoked salmon and onion crepe, and the Marathon, which combines bananas, Nutella, peanut butter, and chocolate sauce. Don’t worry—you’ll walk off those calories! While many visitors only tour the museum, Gadsby’s Tavern also has a more upscale dining room specializing in colonial fare. You’ll find crowd pleasing meals like chicken and seafood, but we recommend trying some of the older and more representative dishes like peanut soup and ham biscuits, both of which have deep ties to Virginia and the region. Gentleman’s Pye, a beef and lamb stew, is a hearty meal that was also popular in the days when Old Town Alexandria was first established. If you are in the mood for chili, look no further than Hard Times Cafe. On your first visit they will start you off with a sampler of the four main types of chili they make (Texas, terlingua, Cincinnati, and vegetarian), and they will serve your favorite over spaghetti noodles, corn bread, Fritos, tater tots, or on its own in a bowl. There are multiple Hard Times Cafe locations around northern Virginia and Maryland but this Old Town Alexandria location is where it all started back in 1980! We love Hard Times for an inexpensive, filling meal. Adam recommends the Chili Bubba with half terlingua and half Texas! I have a longstanding tradition with several friends to meet at La Tasca when they are in town. La Tasca specializes in tapas and sangria, and their lengthy menu spans everything from vegetarian offerings to meat and seafood. They have a good happy hour that discounts some small plates (the croquettes are one of my favorites, and don’t miss the fried eggplant! ), so stopping in for a round of appetizers before dinner is just as good an idea as ordering several plates and making a meal of it. You can’t go wrong with any of the sangrias, but my favorite is the signature La Tasca sangria, a red wine base with a hint of cinnamon. If you are craving something sweet, Lavender Moon Cupcakery makes what are, in my opinion, the best cupcakes in the world. Baked in small batches daily from organic ingredients, the menu changes regularly and covers the range from rich and decadent to light and sweet. 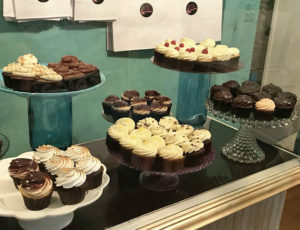 My favorite is the flourless chocolate cupcake with sea salt, which also happens to be gluten free. Adam loves the Boston cream pie cupcake when they have it, but the vanilla with lemon curd is another great choice. Soul food might be just what you need during your visit, and Magnolia’s on King will be just what you are looking for. From fried green tomatoes to grits to barbeque, it offers a more upscale take on traditional favorites. They have a decent happy hour, and they also have live music on some nights. Their daily specials are worth the trip, especially on Tuesdays for Southern fried catfish or Wednesdays for fried chicken and waffles, both of which are scrumptious. When we have friends visiting from out of town, Union Street Public House is our go-to restaurant for consistently great meals. In fact, that’s where we took our wedding guests the night before we got married! You’ll find a great array of sandwiches, salads, and bigger plates like crab cakes and fried chicken; they also have a solid beer and wine list. Located right near the waterfront, they occupy a building that dates back to 1790, which provides a great atmosphere for visitors enjoying Old Town’s historic charm. As far as location goes, you won’t get much better than the Alexandrian. Situated right on King Street adjacent from Market Square, most sights are just a short walk from the hotel. 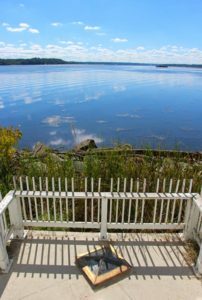 Adam and I stayed there when we got married, and our guests loved the experience. If budget isn’t an issue, spring for one of the four two-story suites—we love how unique they are! Located right across from the King Street Metro station, the Hilton is a comfortable property that is ideal for people who don’t mind walking a bit to get to destinations or are planning to use public transportation. Old Town’s free trolley runs from the Metro station, so there are good options for getting closer to the action. 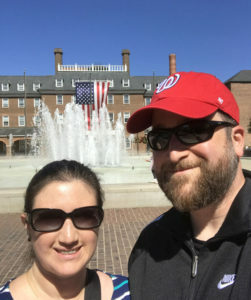 If you are trying to get to Old Town Alexandria from Washington, DC or surrounding suburbs, the Metro (DC’s subway system) will get you to Old Town’s outskirts but not into Old Town itself. The Metro station is very close to the Washington Masonic Memorial, and from there it’s 14 blocks down King Street to the Waterfront. You’ll need to get off at the King Street stop in order to continue your journey. Old Town Alexandria has a great, free trolley that will take you from the King Street Metro all the way down to the waterfront. In addition to being convenient, it’s a lot of fun to ride on the trolley—it has more charm than a standard bus! The trolley runs in a continuous loop and departs roughly every 20 minutes, and stops are located on King Street throughout Old Town. You can hop on, ride as long as you need, and hop off with a lot of ease. Old Town Alexandria is a very walkable area, and walking may in fact be your best bet. Starting from the Metro station and walking down King Street toward the Waterfront, you will pass many of the restaurants and museums that are likely to be on your list. Take a few detours and walk down a few of the other parallel streets; you’ll find additional restaurants and attractions as well as the more quiet charm of the residential areas. Prince Street, Cameron Street, and Queen Street are scenic and run in the same direction as King Street, as Old Town is laid out as a grid of streets running east to west and north to south. The water taxi option is impractical if you are planning to spend your time exclusively in Old Town Alexandria, but if you want to visit the nearby neighborhoods of Georgetown in DC or the National Harbor in Maryland, the water taxi is a much more interesting choice that allows you to skip traffic and instead sail along the Potomac River. It will be more expensive to take the water taxi than a regular taxi or the Metro if you are in a larger group, but the experience is worthwhile (and Metro doesn’t run to either Georgetown or the National Harbor). If you are interested in watching the Nationals (DC’s baseball team) during the spring and summer, there is a special Baseball Boat that runs directly to Nationals Park. The service is seasonal, so be sure to check the schedule! There are a lot of places we’ve mentioned in this post, so we added them to a map and included that below. 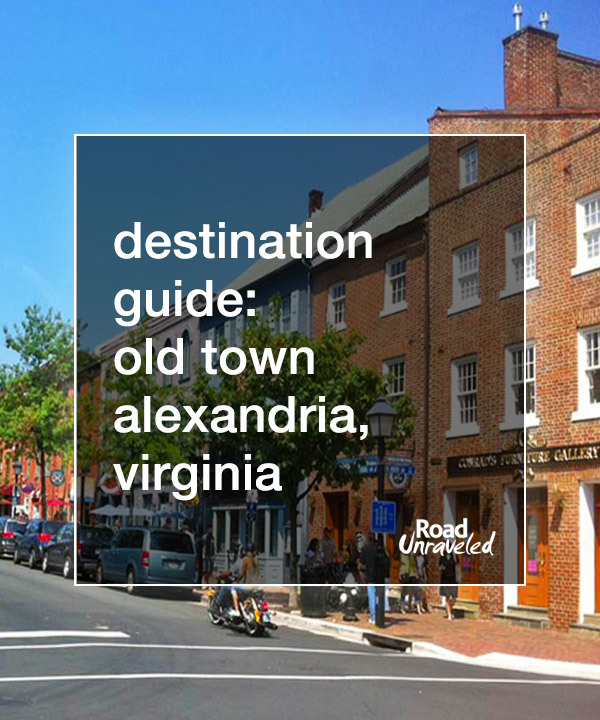 We hope this helps you plan your own visit to Old Town Alexandria. 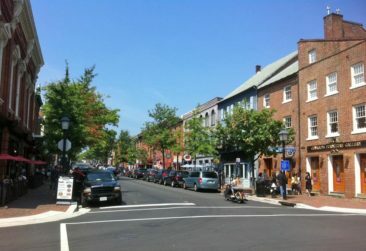 Old Town Alexandria is one of the most interesting, cultural, historical, and fun places I have ever visited—or lived. 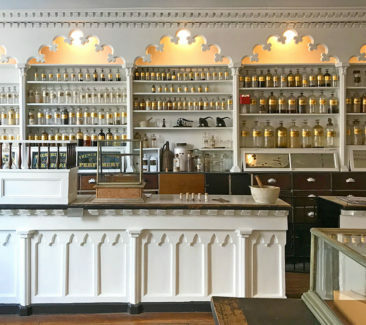 Take a day or two away from Washington, DC to fully explore what Old Town has to offer—and leave a comment to let us know if you love it as much as we do! Share a bench with history! 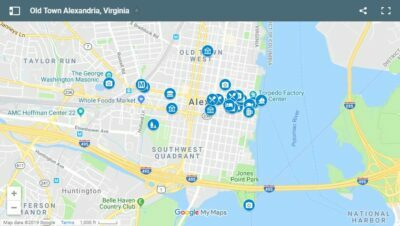 Planning to visit Alexandria? 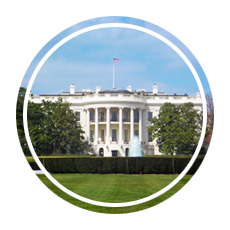 Here are a few interesting places near Old Town in the Washington, DC metropolitan area!